Why Does Carpal Tunnel Hurt More at Night??? Picture this. You’re laying in bed wanting to fall asleep but your arms and hands are painful and numb. You’ve taken a pain reliever, but you still ache. You just want to relieve the pain and go to sleep, but how is that going to happen when you have carpal tunnel pain? That was me about a month ago. I had a painful carpal tunnel flareup and my left arm and hand throbbed and tingled and kept me up all night. Unfortunately, I had five days to wait until my massage therapist could see me. 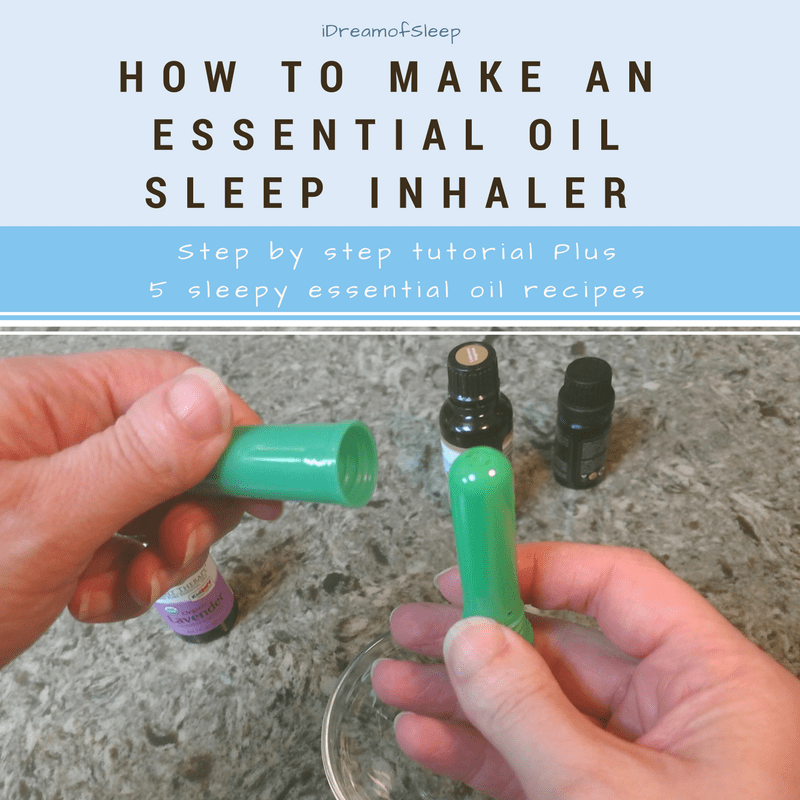 But after two nights, I finally worked out a routine that helped me sleep better with carpal tunnel pain. 1 Why Does Carpal Tunnel Hurt More at Night??? Honestly, the only thing that helps me keep my carpal tunnel in check is massage therapy. It’s usually when I skip my massage appointments and/or overuse my hands that I have painful flareups like the one I had last month. When muscles get tight and knot up, your median nerve starts feeling the pinch, which is what causes your pain. Keeping things loose and fluid is a must to helping your pain. As you self-massage, you’ll feel knots in your muscles. Gently apply pressure and slowly rub your finger back and forth over the knot to help dissolve it. I’m not gonna lie, this will probably hurt like heck, but massage it as long as you can. If it’s too painful, use a lighter touch or take a break for a bit. Do this massage once or twice before you start your hot and cold therapy. You probably already use heat and ice, but some people don’t even consider trying this therapy for their carpal tunnel. Alternating cold and heat helps swelling and moves the fluid away from your tissues so it doesn’t press on your median nerve as much. The cold draws the blood away, and the heat brings the blood back to the surface. 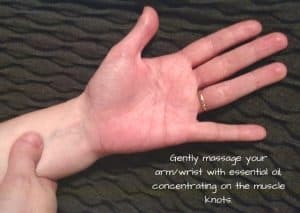 Less fluid mean less pressure on your median nerve. When I’m in pain, I alternate applying heat and and cold to my arm every 15 minutes starting about an hour before bed. 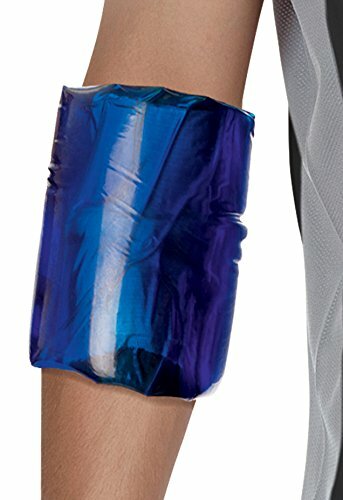 I really like the way heat feels on my arm and wrist, so I also wrap a heat pack around my arm when I go to bed. 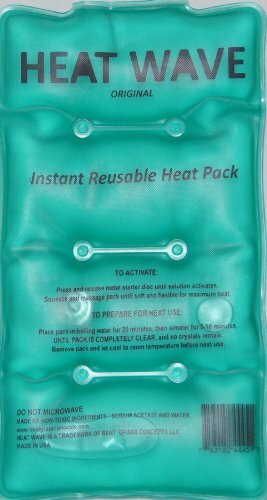 Don’t feel like you have to sleep with the heat pack. 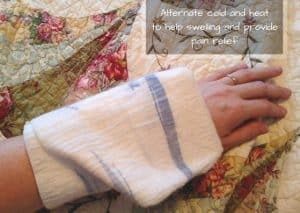 If the cold helps the pain for you, then it’s totally okay to sleep with a cold pack wrapped around your arm or wrist. 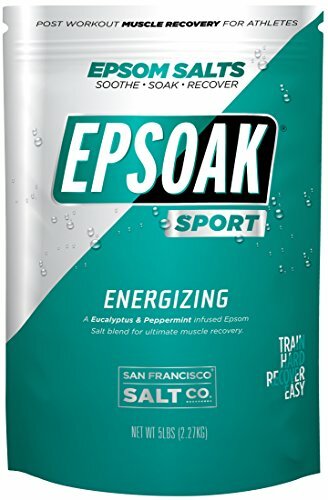 To me, a hot soak in Epsom salts makes everything feel better. But I found it really helpful when I had my carpal tunnel flare up. 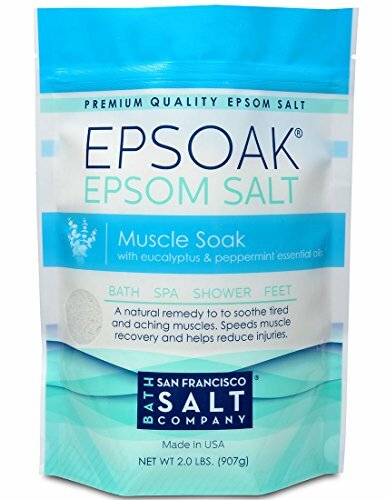 An Epsom salt bath really helps me relax and get the blood flowing. 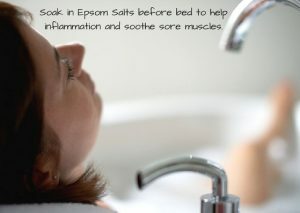 The reason why a hot Epsom salt bath helps carpal tunnel so much is because of the magnesium in the salts. 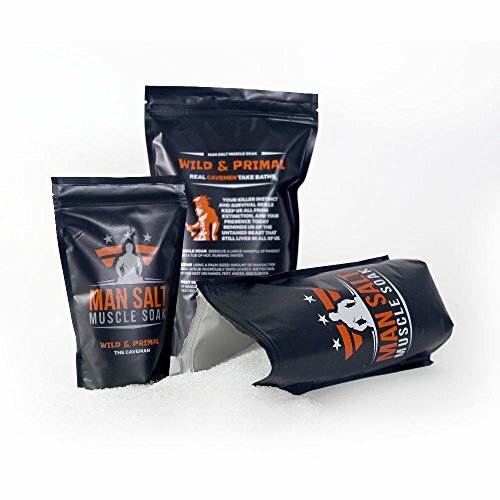 Magnesium is a natural muscle relaxer and has anti-inflammatory properties. It’s absorbed best through the skin, which is why soaking in bath salts is such a good idea. But it won’t only help inflammation and pain. 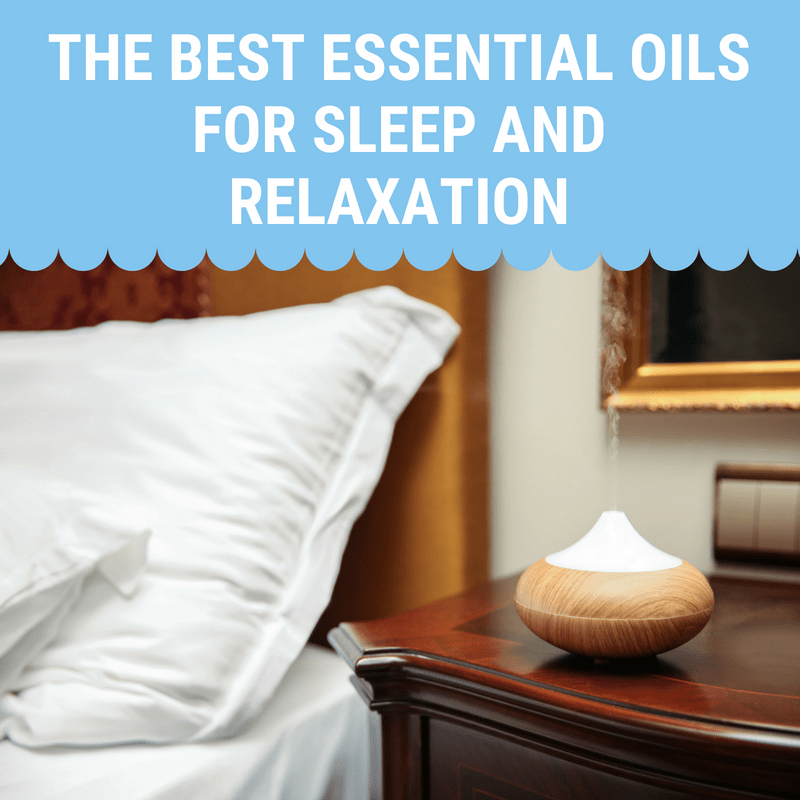 Magnesium is an awesome natural sleep aid and will help you drift off to dreamland. 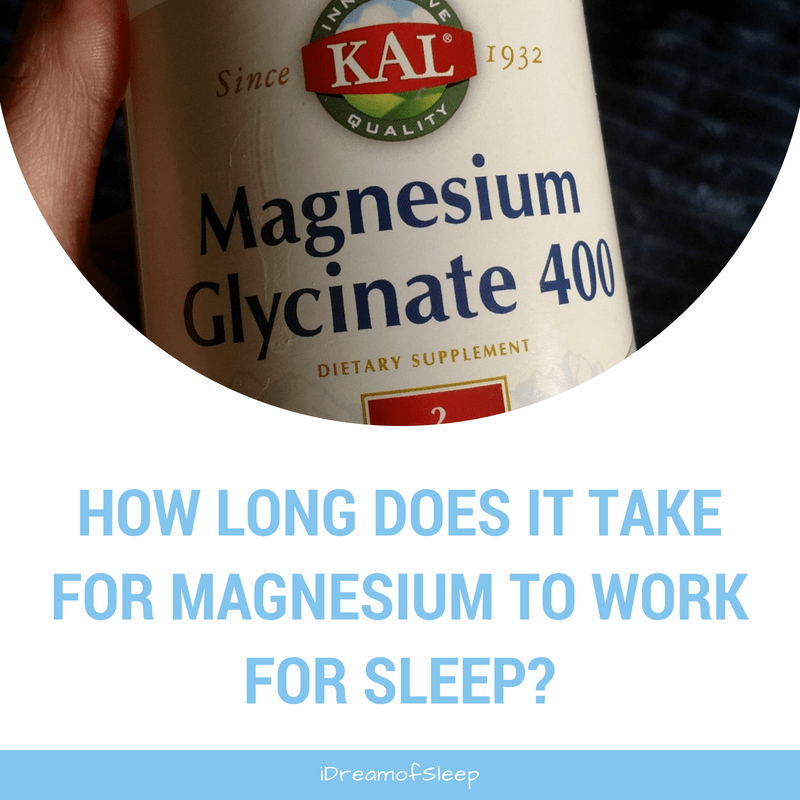 If your body is deficient in magnesium, you’ll have trouble sleeping anyway. So even when you’re not in pain, it’s a good idea to have a soak on those nights when you’re suffering from insomnia. When my chiropractor told me to sleep in night splints, I said thanks, but no thanks. I can’t stand anything restricting me, even if it’s on my hands. That is until the pain kept me up at night. I was surprised I felt relief almost immediately after I put it on. I’m not saying it got rid of the pain, but it did feel soothing in a way. I’m like, why the heck did I wait so long to try carpal tunnel night braces? 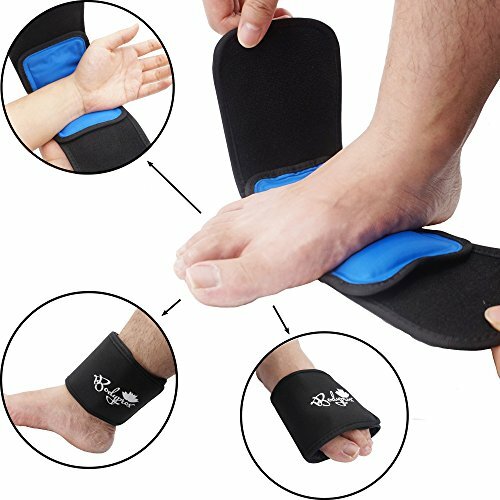 Wearing splints keeps your wrists from getting bent in funky positions while you sleep, which can aggravate your symptoms and increase pain. 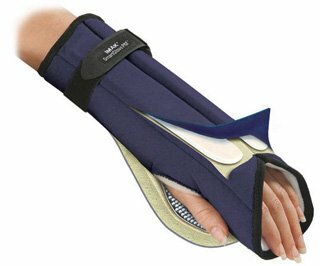 Most carpal tunnel splints are specially made for the right of left wrists, so be sure you’re buying the right splint for your right (or left) hand. There are also universal night braces that will fit either arm. 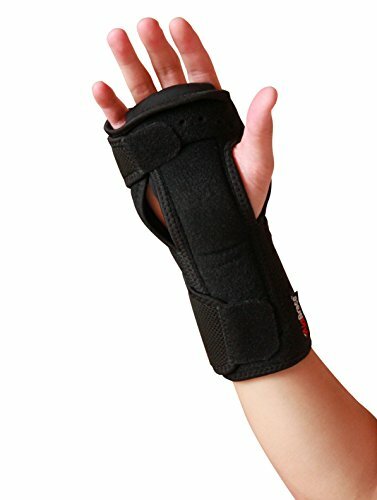 If you’re a woman and have really small wrists, like me, it’s important to buy carpal tunnel splints for women. I really like this splint because it’s made for women and fits me so well. Some braces are meant to be worn during strenuous activities, like during sports or certain jobs. 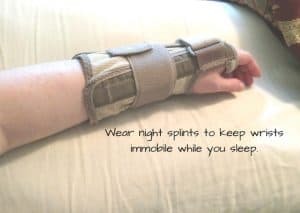 Be sure your splint is designed to be worn during sleep. Elevating your wrists above your body reduces the fluid and swelling that presses on your median nerve, the nerve that causes your carpal tunnel pain. I found this out by accident. The first night all I did was flip and flop, just trying to find a sleeping position that would be as pain free as possible. I ended up running my husband out of bed with all my flopping. So I stole his pillow, propped up my arm, and managed to find some relief by finding the most comfortable, and ultimately best sleeping position for my carpal tunnel syndrome. I slept on my back and had the pillow tucked under my left arm. 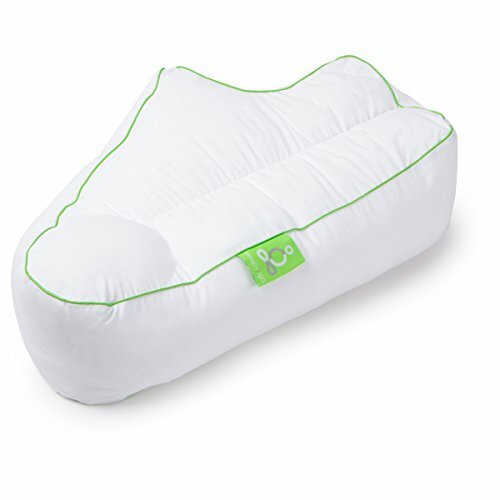 It was a lofty pillow, and it made my arm higher than my body. I also was able to lay on my side and prop my arm up on my pillow. I did these steps every night until I could get in for a massage. In fact, my flareup was so bad I still had some pain even after my massage. I ended up doing this ritual before bed for a few days afterwards. I really don’t think I could have made it through the night without doing these steps, the pain was that bad. 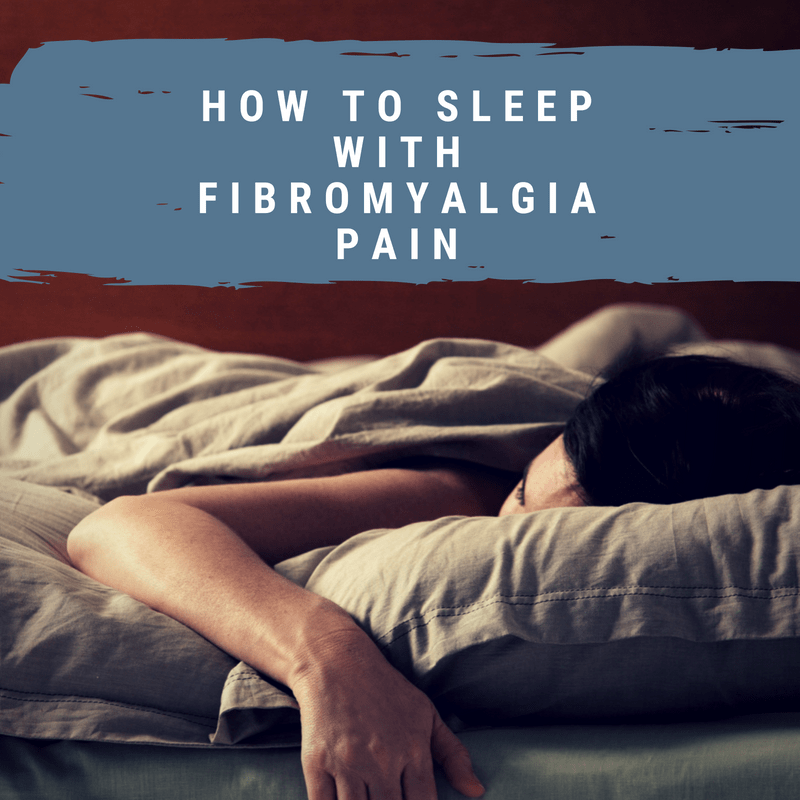 From personal experience, I know how hard it is to sleep when you’re in pain. 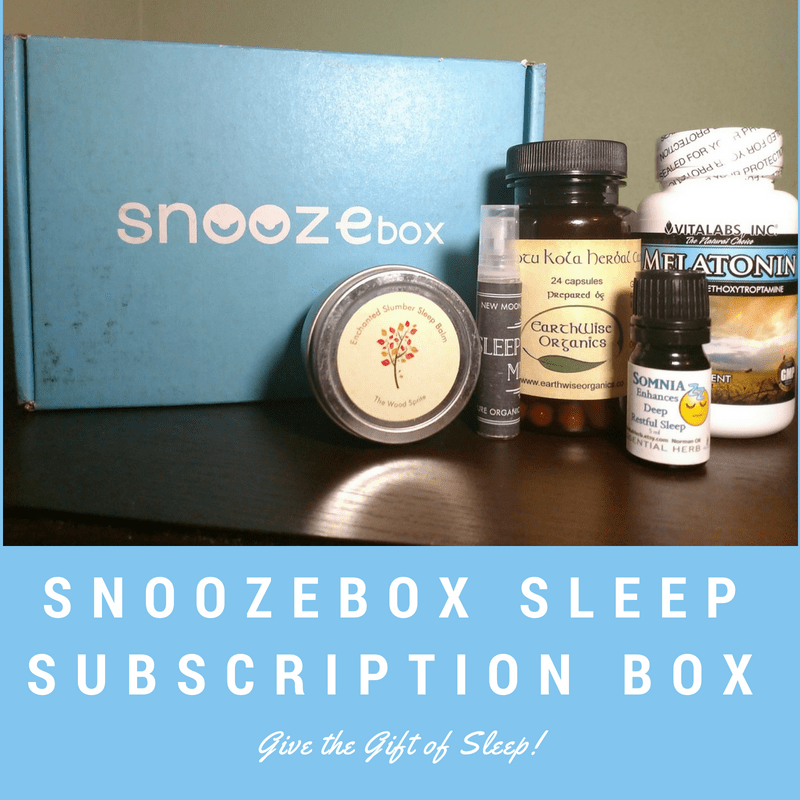 But sleep is exactly what your body needs to help heal itself. 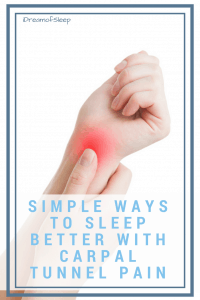 Trying one (or all) of these tips for sleeping with carpal tunnel syndrome may help alleviate the pain enough to where you can fall asleep. 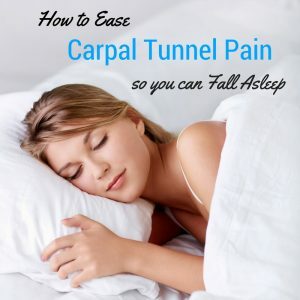 If you enjoyed this post, I’d be very grateful if you’d share with a friend so you can help them learn how to find carpal tunnel relief at night and ultimately to sleep better with carpal tunnel pain. Thank you! I’ve been through a lot of pain in my life, and my carpal tunnel pain really ranks up there. 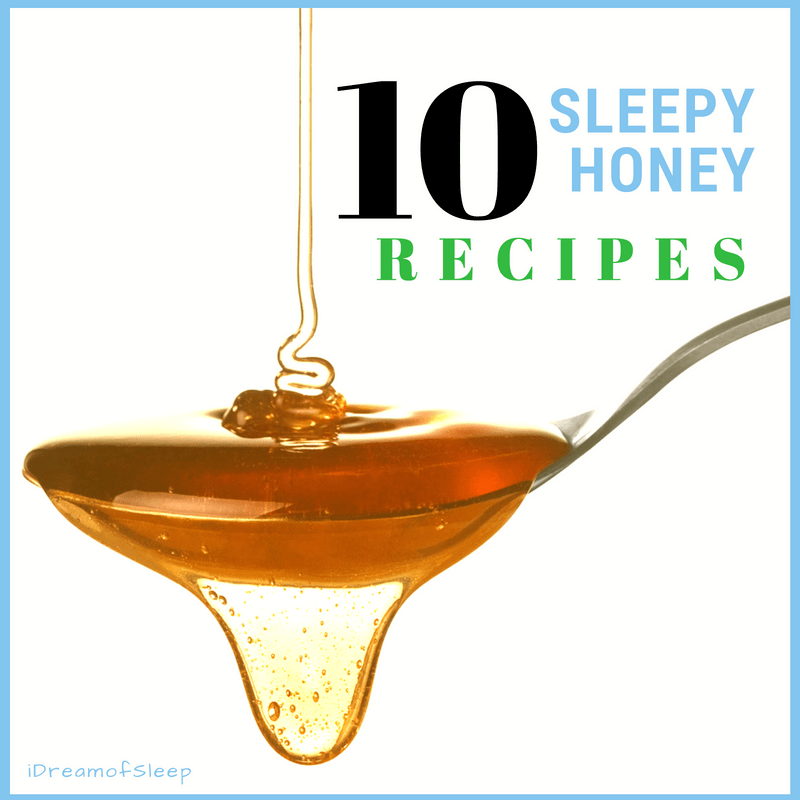 Hopefully you found some tips to help you sleep better with your carpal tunnel pain.